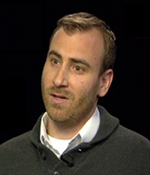 Joseph Michael Valente is an Assistant Professor of Early Childhood Education at Pennsylvania State University. He is also the co-Director of the Center for Disability Studies and core faculty in the Comparative and International Education program. Dr. Valente was the co-Principal Investigator of the video ethnographic study "Kindergartens for the Deaf in Three Countries: Japan, France, and the United States" funded by the Spencer Foundation and is the author of the research-novel d/Deaf and d/Dumb: A Portrait of a Deaf Kid as a Young Superhero. 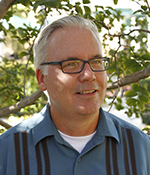 Scot Danforth is a Professor of Disability Studies and Inclusive Education at Chapman University. He is author or editor of over seventy publications, including twelve books. He was co-founder of the Disability Studies in Education Special Interest Group of the American Education Research Association. For six years, he served as co-editor of Disability Studies Quarterly, the official journal of the Society of Disability Studies.